Brunswick Regional Water & Sewer H2GO was originally created with the purpose of providing treated water to preserve and promote the public health of the citizens in the North Brunswick area. Today that is still our goal and we also strive to provide our customers with the best service possible. The Brunswick Regional Water and Sewer began servicing their first customers in 1987 and began with approximately 350 customers. Over the past twenty years the District has grown to have a customer base of about 10,000. 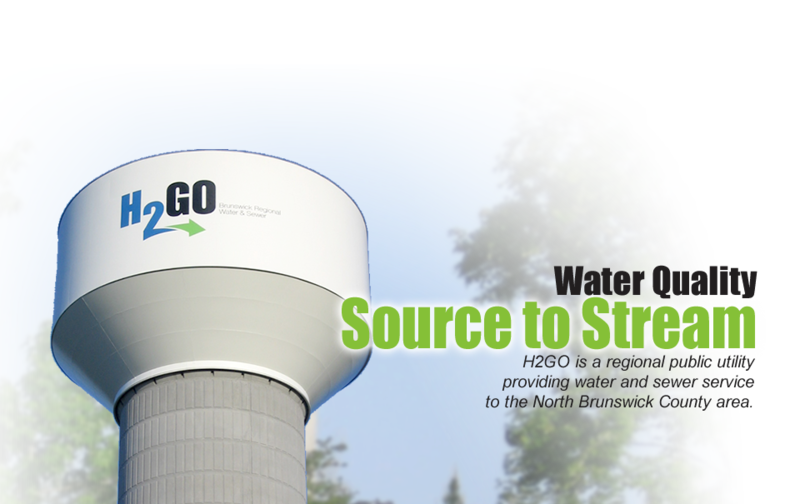 H2GO is committed to assuring a quality of life for our valued customers by providing the highest levels of water and sanitary sewer services, from Source to Stream, in a safe and efficient manner. As professional service providers, H2GO in cooperation with its community partners will comprehensively plan, develop, maintain and operate the District's utility systems in a customer service oriented and cost-effective manner.